My consistent interest has been the development of multinuclear magnetic resonance techniques (both direct and indirect, using double resonance methods) and their application to many areas in chemistry (inorganic, organic, organometallic, polymeric, structural, biochemical, biomedical), and has more recently embraced NMR imaging, particularly of solids (organic polymers and materials of all sorts), and liquids in solids. The group had the first commercial Fourier Transform (FT) NMR Spectrometer in the UK and obtained the first FT spectra of 15 N and 2 H at natural abundance. Other nuclei studied include 13 C, 14 N, 17 O and 31 P. Studies of oriented samples gave detailed molecular geometries. There were important collaborations with QMC colleagues in the areas of organometallic and peptide chemistry, the NMR of paramagnetic compounds in the field of shift and relaxation reagents. In the last decade the group's efforts have turned to studies of the solid state and to imaging studies, each with particular reference to soils and porous materials. We used a large probe on the Varian Imaging Spectrometer for stray field (STRAFI) -imaging. This is only the second STRAFI-system in the UK, and about the fourth operational world wide. It was unique in having a large probe of 5 cm diameter, suitable for soil, or sand. (ii) any magnetically active nucleide, including quadrupolar nucleides, can be imaged by STRAFI-techniques even in the solid state, and even if the sample is paramagnetic. Consequently we can for example investigate both 'bound' and 'free water' in any material. The range of industrial and environmental applications is immense. The group now has more than 30 STRAFI-publications. The solid state 1 H and 31 P imaging of bone and biomedical materials should prove to be important medically. We have initiated work on 7 Li and 31 P imaging of glasses and ceramics, some paramagnetic, with Dr. I. Abrahams. Currently Dr. Alasdair Preston and I are collaborating with Drs. Richard Whalley and Nigel Bird at The Silsoe Research Institute in studying the behaviour of water in soil at different matric potentials with BBSRC support. We are extending the STRAFI-method to include the flow of oil and water in rocks. With Dr. Teresa Nunes' group in Lisbon we have succeeded in the first NMR imaging of both ice and heavy ice. A new project is the STRAFI-NMR study of dental materials being developed in the Department of Biomaterials in Dentistry with Professors G. Pearson, M. Braden, and Dr. M. Patel. We have investigated 13 C, 15 N and 31 P resonances in both the solid state and in liquid extracts from soil. Recently we have characterised solid fractions obtained via a Rothamsted density-fractionation procedure, giving a free light fraction and intra-aggregate light fractions. The results will be used as the building blocks in models of the turnover of soil organic matter. We are also comparing the information obtained from NMR with that from several other techniques including 'wet' chemical methods, py-GC/MS, FTIR, GC/MS analysis of lipids, in collaboration with Professor R. Evershed's Group at the University of Bristol. New Methods in NMR imaging ( Stray Field Imaging and Indirect Methods) including STRAFI-work on a 19.6 T system at the National High Field Laboratory in Tallahassee. STRAFI- imaging and Spectroscopic Studies of Dental Materials. Solution state studies of soil extracts using multinuclear and multidimensional high field (14.1T) techniques. We have had collaborations with STRAFI-groups in Surrey (Professor Peter McDonald, Dr. Duncan Gillies), Moscow (Professor Andrei Samoilenko) and Lisbon (Dr. Teresa Nunes), aided by an EU grant. Additionally we are helping develop STRAFI-facilities on high field systems at the National High Magnetic Field Laboratory (NHMFL) in Tallahassee such as the 19.6 Tesla magnet. Also we collaborate with Dr. Scott Smith at the NHMFL on extensions of the Gamma-platform computing facility to STRAFI-problems. We have shared BBSRC funding for soils work both with the Rothamsted and Silsoe Research Institutes, and with the University of Bristol (for Mass Spectrometry investigations). Authors in the publications list come from Bulgaria, France, Italy, Portugal, the Philippines, Russia, and the USA. We have also received EPSRC travel funding. The Early NMRDG: a personal Memoir , Royal Society of Chemistry, Historical Group, 2009, 18-26. Stray Field (STRAFI) NMR: Imaging in Large Field-Gradients, E. W. Randall , a chapter in The Encyclopedia of NMR, eds. R. K. Harris and R. Wasylishen, John Wiley and Sons, 2011. The First Proton Imaging of Ice: Stray-Field Imaging and Relaxation Studies, E. W. Randall , T. G. Nunes and G. Guillot, Solid State NMR, 2007, 32 , 59-65. Direct Measurement of the Size Distribution of Water Filled Pores at Different Matric Potential by STRAFI-NMR Relaxation -Time Measurements, N. R. A. Bird, A. R. Preston, E. W. Randall and W. R. Whalley, European Journal of Soil Science, 2005, 56 , 135-143. STRAFI NMR of Partially Drained Porous Materials, A. R. Preston , N. R. A. Bird, W. R. Whalley and E. W. Randall , Magnetic Resonance Imaging , 2003, 21 , 421. Stray Field (STRAFI) NMR: Imaging in Large Field-Gradients, E. W. Randall , a chapter in The Encyclopedia of Nuclear Magnetic Resonance, eds. D. M. Grant and R. K. Harris, Volume 9: Advances in NMR, 150 - 165, John Wiley and Sons, 2002. GAMMA Simulations of Stray Field Responses: Slice Thickness and Pulse Calibration, P. Kinchesh , S. A. Smith, A. R. Preston, and E. W. Randall , J. Magn. Reson. , 2002, 154, 252 - 260. STRAFI-NMR of Soil Water: Development of a New Large Probe and Preliminary Results, P. Kinchesh, A. A. Samoilenko, A. R. Preston, and E. W. Randall , J. Environmental Quality , 2002, 31, 494 - 499. High Spatial Resolution of Solids Using a New Fourier Transform STRAFI-Probe, E. W. Randall , A. A. Samoilenko, R. Fu, W. W. Brey and P. L. Gor'kov, Annual Research Review for 2001, The National High Magnetic Field Laboratory, Tallahassee, 2002, 218 - 219. Available at www.magnet.fsu.edu . 31 P Solid State NMR in High Field Gradients: prospects for imaging bone using the long echo-train summation technique (LETS), D. G. Gillies, B. Newling and E. W. Randall , J. Magn. Reson. , 2001, 151 , 235 - 241. STRAFI NMR Studies of Water Transport in Soil, A. R. Preston , N. R. A. Bird, P. Kinchesh, E. W. Randall , and W. R. Whalley, Magnetic Reson. Imaging , 2001, 19 , 561 - 563. Calibration of the Stray Field by a New Heteronuclear Method and by Field Profiling, A. R. Preston, P. Kinchesh and E. W. Randall , J. Magn. Reson. , 2000, 146, 359 - 362. Assessment of chemical and biological stabilization of organic C in soils from long-term experiments at Rothamsted (UK), M. De Nobili, M. Contin, N. Nahieu, E. W. Randall and P. C. Brookes, Waste Management (NY), 2008, 28 , 723 - 733. The Chemical Composition of Measurable Soil Organic Matter Pools, N. Poirier, S. Sohi, N.Mahieu , J. Gaunt, E. W. Randall, D. S. Powlson and R. P. Evershed, Organic Geochemistry, 2005, 36 , 1174 - 1189. Phosphorus-31 nuclear magnetic resonance spectral assignments of phosphorus compounds in soil NaOH-EDTA extracts, B.L. Turner, N. Mahieu and L.M. 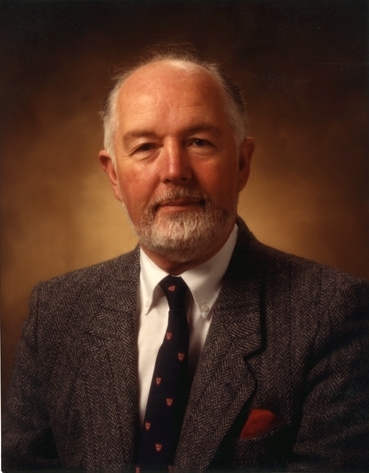 Condron, Soil Science Society of America Journal, 2003, 67(2) , 497 - 510. Mechanisms of phosphorus solubilisation in a limed soil as a function of pH, R.W. McDowell, N. Mahieu , P.C. Brookes and P.R.Poulton, Chemosphere, 2003, 51 (8) , 685 - 692. Soil organic matter biochemistry and potential susceptibility to climatic change across the forest-tundra ecotone in the Fennoscandian mountains, S. Sj�gersten, B.L. Turner, N. Mahieu , L.M. Condron and P.A. Wookey, Global Change Ecology, 2003, 9 (5) , 759 - 772. Analysis of phosphorus in sequentially extracted grassland soils using solid state NMR , R.W. McDowell, L.M. Condron, N. Mahieu , Communications in Soil Science and Plant Analysis, 2003, 34 (11-12) , 1623 - 1636. 13 C NMR and Mass Spectrometry of Soil Organic Matter, G. I. Ivanova and E. W. Randall , Central European Journal of Chemistry, 2003, 1 , 10 - 25. Analysis of Potentially Mobile Phosphorus in Arable Soils using Solid State NMR, N. Mahieu et al., J. Environmental Quality, 2002, 31, 450 - 456. Multinuclear NMR analysis of two humic acid fractions from lowland rice soils, N. Mahieu , D.C. Olk and E.W. Randall Journal of Environmental Quality, 2002, 31(2) , 421 - 430. Chemical nature of potentially mobile phosphorus in an arable soil, R.W.McDowell, L.M. Condron, N. Mahieu , P.C. Brookes and P.R. Poulton, Journal of Environmental Quality, 2002, 31(2) , 450 - 456. The effect of soil acidity on potentially mobile phosphorus in a grassland soil, R.W. McDowell, P.C. Brookes, N. Mahieu , P.R. Poulton, A.E. Johnston and A.N. Sharpley, The Journal of Agricultural Science , 2002, 139(1) , 27 - 36. A procedure for isolating soil organic matter fractions suitable for modelling, S.P. Sohi, N. Mahieu , J.R.M Arah, D.S. Powlson, B. Madari and J.L Gaunt. Soil Science Society of America Journal , 2001, 65(4) , 1121 - 1128. Mahieu et al., in 'Sustainable Management of Soil Organic Matter', Eds. R. M. Rees, B. C. Ball C. D. Campbell and C. A. Watson, CAB International. Wallingford, UK, 2001, pp. 90 - 95. 31 P NMR Analysis of Two Humic Acid Fractions from Intensively Cropped Lowland Rice Soils, N. Mahieu , D. C. Olk and E. W. Randall , European J. of Soil Science , 2000, 51, 391 - 402. Accumulation of Heterocyclic N in Humified Organic Matter: a 15 N NMR Study of Lowland Rice Soils, N. Mahieu , D. C. Olk and E. W. Randall, European J. of Soil Science , 2000, 51 , 379 - 389. Statistical Analysis of Published 13 C CPMAS NMR Spectra of Soil Organic Matter, N. Mahieu, D. S. Powlson, and E. W. Randall, Soils Science Society of America Journal , 1999, 63 , 307 - 319. Changes in Free and Mineral Bound Humic and Fulvic Acids due to Changing Soil Managements, M. De Nobili, P. C. Brookes, M. Contin, N. Mahieu and E.W.Randall , Humic Substances Environment, 1999, 1, 17 - 21. 1 H and 13 C NMR Study of Soil Organic Matter at 14.1T, G. Ivanova and E. W. Randal l, Bulgarian Chemical Communications ,1999, 31 , 172 - 183. Soil Organic Matter as an Energy Source for the Soil Microbial Biomass, M. De Nobili, N. Mahieu, E. W. Randall and P. C. Brookes, Soil Society of America . STRAFI NMR Studies of Water , Ice, and Brine, E. W. Randall , T. G. Nunes, and G. Guillot, J. Magn. Reson . Definitions of Spatial Resolution in STRAFI- NMR Imaging, E. W. Randall, J. Magn. Reson .